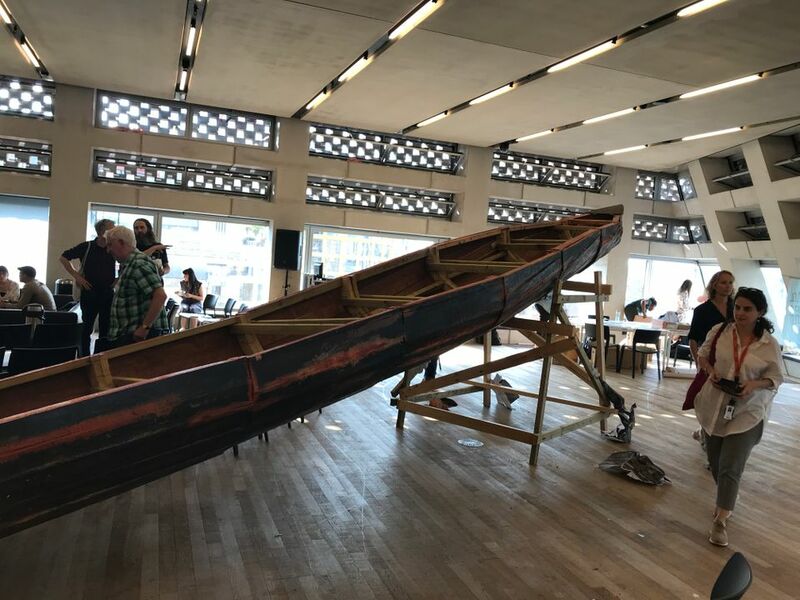 A unique art festival is quietly taking shape this week in Tate Modern. Winchester School of Art is spending a week in the Tate Exchange space building its own biennale, looking to the Kochi-Muziris example which launches its fourth iteration in southern India later this year (12 December-29 March 2019). The Tate event brings a wealth of biennale-related issues to the surface, focusing on a diversity of practices. Highlights include an “open audition” scheduled for 12 May when visitors will ponder on what makes the ideal spectator. Meanwhile, a debate entitled Imagined Biennales—Open Forum at the Tate Exchange (13 May) concludes with a live-streamed Q&A with the artist Anita Dube, the curator of the 2018 Kochi-Muziris Biennale. An accompanying publication—How to Biennale! The Manual—is a very handy handbook dotted with nuggets such as “how to be distinctive” and “choosing a [biennale] model”. Authors Shwetal A. Patel, Sunil Manghani and Robert E. D’Souza dish out invaluable advice such as: “If you think your art event deserves to be covered by a particular publication, arts writer or blogger, make sure you find a way to contact them. Invite them to your event!” (wise words indeed). A final version of the book, with additions from relevant contributors, will be published later this year.